If you are looking for an earphone at a price below Rs. 3,000, Mivi Thunder Beats can be the best product you can go for. Mivi Thunder Beats is also a great product for gym goers and sportsmen, as it is sweat proof, and do not come out of the ears easily. To make my life a little more free from wires, I prefer using Bluetooth earphones instead of the conventional wireless ones that come with a handful of smartphones or are sold separately. Using wireless or Bluetooth earphones make it easier for me to use the handset more conventionally. Yes, things are easier when there are no strings attached. That being said, I purchased the Mivi Thunder Beats Bluetooth earphone and is using the same for almost a month now. 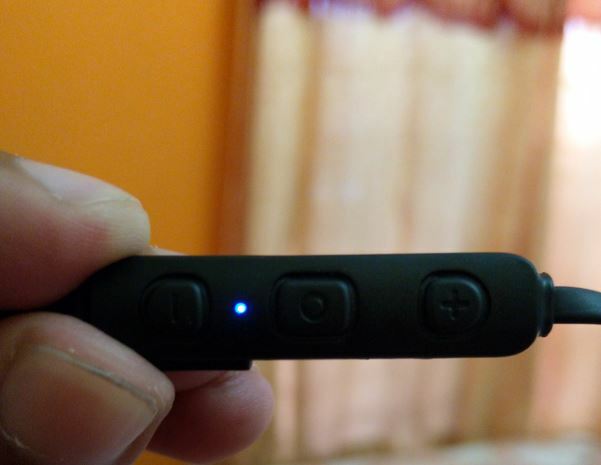 Just like every other gadget which I purchase, for Mivi Thunder Beats too, I have mixed reactions. 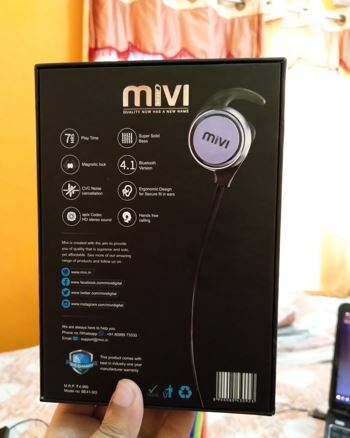 So I am here to write a short review of Mivi Thunder Beats. Mivi is a comparatively a new company and manufactures a premium set of smartphone accessories which include charging adapters, cables, OTG cables, screen guards other than Bluetooth earphones. Apart from the Mivi Thunder Beats, Mivi also has two more Bluetooth earphones, the Mivi Collar Bluetooth earphones, and the Mivi Saxo. All of them have the same pricing, but each of them is different in type, but the Mivi Thunder Beats seemed to be the most convenient one for me, and thus, I ordered the same. So let’s get started with the box contents, features, pros, and cons. Mivi Thunder Beats Bluetooth earphones. Extra set of earbuds and ear hooks. Let’s have look at the features of the Mivi Thunder Beats earphones. Supports dual-connectivity. It makes the device connect to two different devices at the same time. 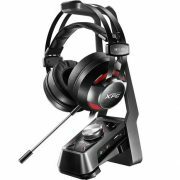 CVC Noise cancellation for a great calling experience. Inline remote to receive and make calls, redial last number, play, pause music, move to the next or previous track. Support AptX HD codec for high definition stereo sound output. Up to 8 hours of battery life once the device is charged fully. 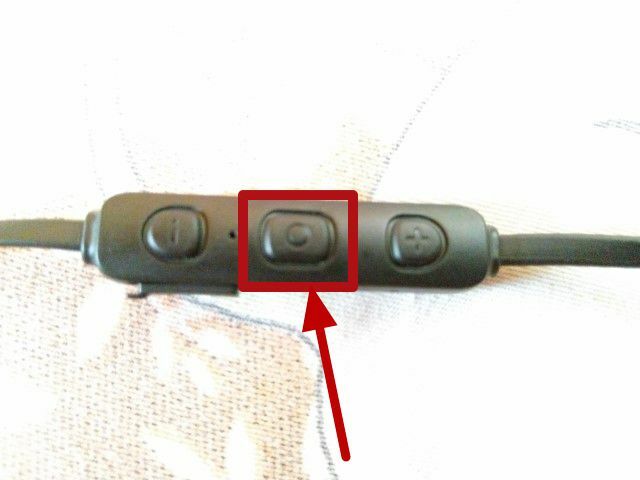 Just long press on the middle button of the inline remote to switch the handset on. For dual connectivity, press the other two buttons, i.e. Volume up and down buttons at the same time to disconnect the connected device. 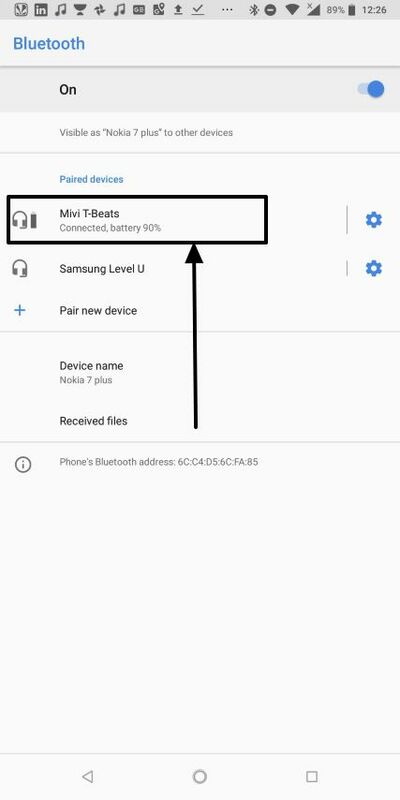 Now search for and connect to ‘Mivi T-Beats’ from the second device, and reconnect the first device. Now, both your devices are connected. Let’s find out the multiple functions of the buttons on the inline remote. Volume Up + Volume Down: Disconnect. Long tap middle button: Turn the earphones on or off. Single tap middle button: Play or pause music / Accept or end an incoming call. Double tap middle button: Redial last number. Long tap Volume Up button: Switch to the next track. Long tap Volume Down button: Switch to the previous track. Long tap Volume Up / Down button (5 seconds): Trigger voice commands with Google Assistant or Sir, or whichever is supported by the connected handset. There are a number of other functions, which can be accessed with different combinations of the 3 buttons on the inline remote. You can get all of them in the User Manual. Now let’s find out, whether this Rs. 2,999 is a worthy investment. 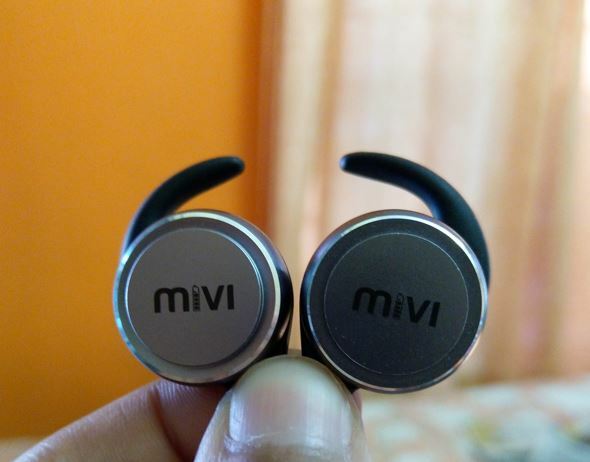 Yes, now we will have a look at the pros of the Mivi Thunder Beats Bluetooth earphones. The quality of the wires in Mivi Thunder Beats earphones is pretty good. By just having a look at the wires, one can easily comprehend, those are premium quality wires. The Mivi Thunder Beats is not a collar Bluetooth earphone, and the only way to wear it is by hanging the wires at the back of the neck. The length of the wires are really big and can suit the neck size of almost everybody using it. Due to the ear hooks and the earbuds, the earphones fit nicely into the ears. The earphones do not come out of the ears even while shaking the head loudly, or at the time of running and exercising. Thus, it is great for sportspersons, as well. 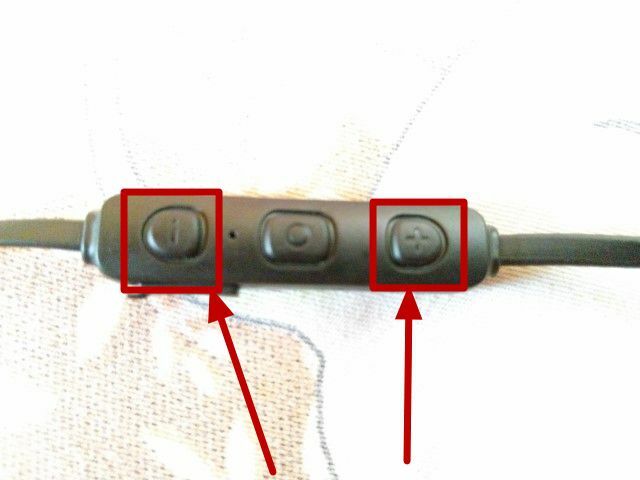 Most Bluetooth earphones nowadays come with inline buttons for multiple functions. 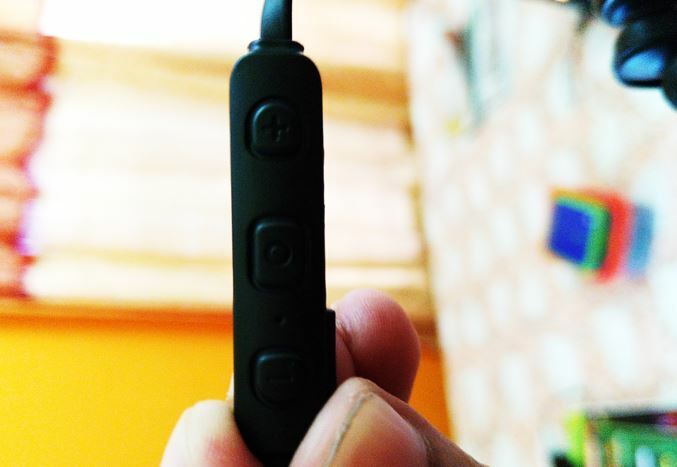 But the inline remote that comes with Mivi Thunder Beats is pretty easy and simple to use. But in spite of the simplicity it offers, a lot can actually be done with the inline remote. 8 hours of battery backup is really great. Apart from that, the user can get a notification when the battery is about to die. Even after the low battery notification is heard, the earphones will give almost 30 minutes of battery backup at 60-70% volume. The loudness of the earphones is really great. I used it while traveling by train, bus, and car. The external sounds were hardly audible, making the Thunder Beats the best mate if you are watching your shows, listening to music while you are traveling. Be careful at the same time though, when you are walking. 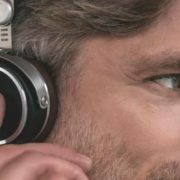 The CVC noise cancellation technology works like a charm on this earphones. I tried it by calling my friends when I was out, and none of them complained about any external noises, making the call quality really awesome. 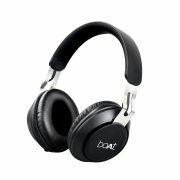 The earphones offer very good bass, and the sound clarity is also pretty decent at the price it is offered at. So if you are a bass lover, I’m pretty sure, you will not have any complaints against this product. Connections are really lightening fast. I just switch the earphones on, and I instantly get the message that the devices are connected. The Bluetooth radio on the device needs to turn on for this functionality to work perfectly, and that is quite natural. Just like other recently launched Bluetooth earphones, the Mivi Thunder Beats also show the battery status on the smartphone or other devices it is connected to. Though the feature to display the same should be available on the host device, as well. So those were the pros. Yes, the pros really make the product worth purchasing. But just wait, I will also talk about the cons, as well. Now let’s find out, whether it is worth suffering purchasing the product with its cons. The earphones are very big. The earphones being metallic, and because of its size, some users might suffer from minor pain if worn for long hours. I wish the earphones were just a little smaller. Sometime after connecting two devices in tandem, the earphone turns off completely. It needs to be switched on once again. This generally happens when the two devices get automatically connected. But it happens sometimes, not every time. The lows and mids are not that perceivable in these earphones. But if you are not a really big music enthusiast, chances are pretty less you will have complaints about this product. The battery status isn’t precise I would say. I find, 100%, then 90%, 70%, 50%, 30% and then no battery. I wish the battery status displayed were more precise, at least the other multiples of 10 were shown. Most Bluetooth earphones nowadays come with a vibration motor to notify users about an incoming call. Though it is a little difficult to place a motor in such a small setup, I wish that was there. Most Bluetooth earphones available at cheaper prices come with such a functionality, and the absence of the same in the Mivi Thunder Beats is really a big con. Mivi Thunder Beats is no doubt a great earphone. But I wish it was cheaper. If the product was priced at around Rs. 2,600 or so, it would have been perfect. On the other hand, the other Mivi earphones with different designs are priced the same. I don’t know, why Mivi is offering all of its earphones at the same price. Let’s end the cons section here. Well, I am not ending it deliberately. There aren’t any more noticeable cons, for this pair of earphones. Well, the most important part now. I will surely recommend this product. 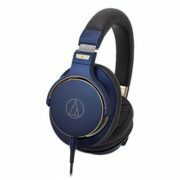 If you are looking for an earphone at a price below Rs. 3,000, Mivi Thunder Beats can be the best product you can go for. Mivi Thunder Beats is also a great product for gym goers and sportsmen, as it is sweat proof, and do not come out of the ears easily. Mivi Thunder Beats is also the only product available at this price range, which comes with a support for AptX HD audio codec for high definition stereo sound. So that was it. 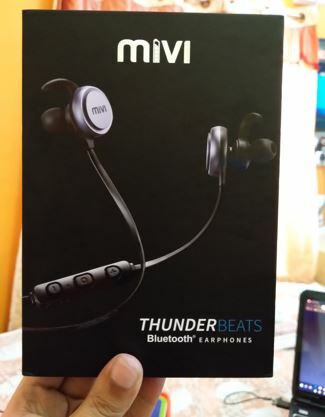 Please let me know how was your experience, using the Mivi Thunder Beats earphones? Was it great? Surely let me know about it in the comment section down below.